"Gananche" meaning green and "Fasoula" meaning bean, translates into Armenian "Soul Food". 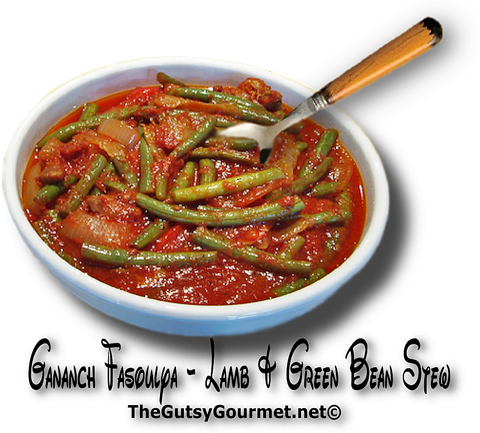 This dish with a hearty combination of lamb and green beans is an Armenian staple. Make a large pot and feed the family for a week. It just gets better with time. 1. Brown off the lamb in the olive oil. Add onions and sautè until translucent. 2. Add the rest of the above ingredients and simmer for 45 minutes. 3. Add the following ingredients and cook until the green beans are tender. or by adding another vegetable,  such as zucchini rounds.